Facebook CEO, Mark Zuckerberg and wife, Priscilla Chan have welcomed their second child. Chan gave birth this month and the couple named the baby girl August. 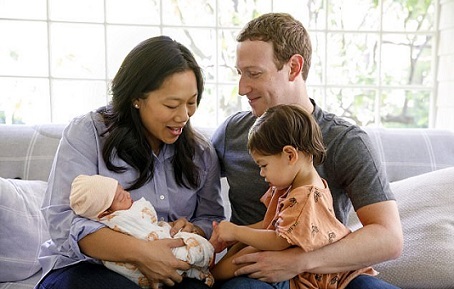 The Facebook CEO shared the news saying he and Priscilla already wrote her a note. He said; 'Priscilla and I are so happy to welcome our daughter August! 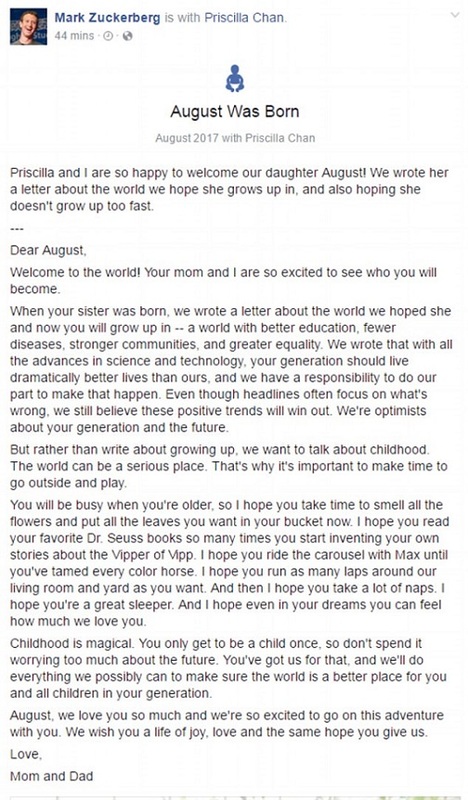 We wrote her a letter about the world we hope she grows up in, and also hoping she doesn't grow up too fast,' Zuckerberg wrote.